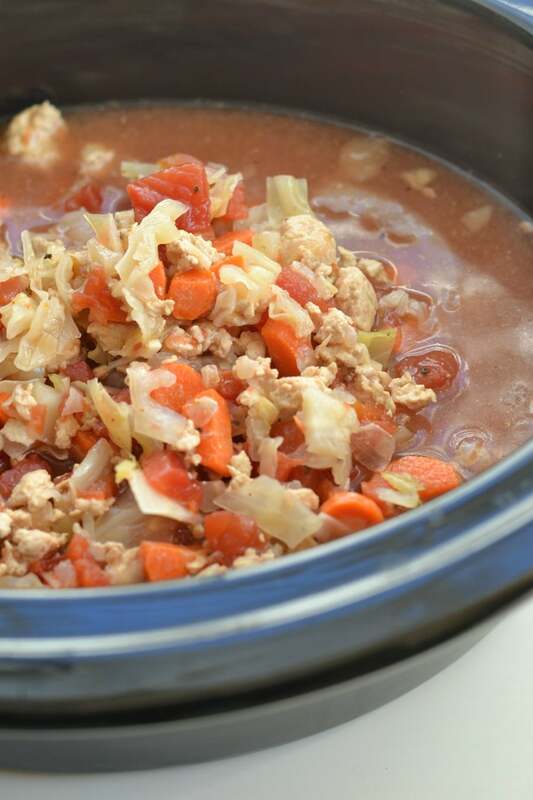 This slow cooker turkey cabbage soup is made with ground turkey and lots of vegetables. It’s that rare unicorn of a delicious comfort food that’s also totally healthy. And, of course, it’s super duper simple. 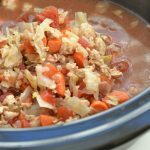 Over the summer, my mom made a ginormous batch of this turkey cabbage soup to take on our family’s vacation for the week. The plan was that we’d stash it in the fridge, and eat it for lunch all week long. Unfortunately, it was gone on the second day! When my mom came to visit us in Houston last month, I asked her to make the turkey soup again. This time, I took copious notes so I could A) add it to my own soup rotation, and B) share it with y’all! You don’t have to make this soup in a crockpot / slow cooker. A big soup pot on the stove top will do just fine. But there’s something so nice about getting everything prepped in the morning, and coming home to dinner all and warm and waiting. Aren’t slow cookers the best? With the holidays right around the corner, this is the perfect time to share the recipe. First of all, it provides a nice, healthy balance to all of the holiday indulgences that are about to occur (I’m talking to you, cranberry sugar cookies!). It would also be a delicious way to use up any leftover turkey you’ve got hanging around after your Thanksgiving or Christmas meal. 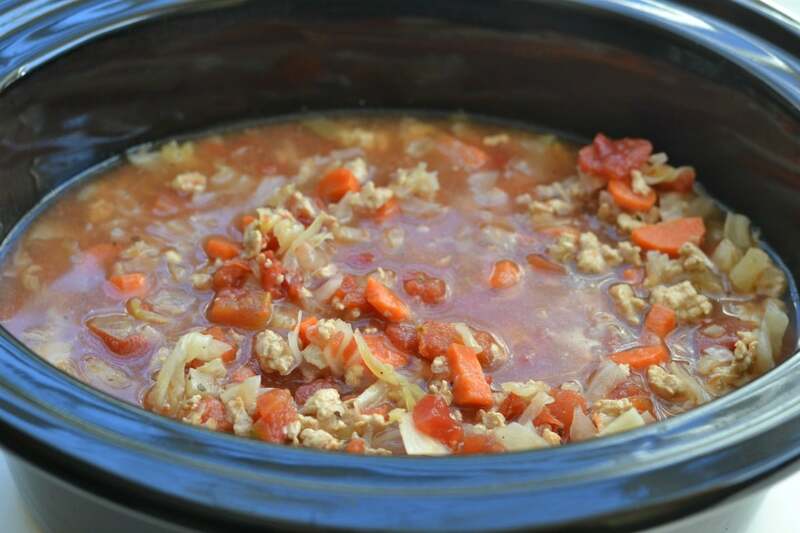 Just cube it up and toss it into the slow cooker in place of the browned ground turkey. Cooking Note: This makes a pretty big batch. So if you’re a) only feeding 2-3 people, or b) have a slow cooker that holds less than 6 quarts, you might want to cut the recipe in half. Serving Note: If you’ve read my blog before, you already know that crusty bread is a MUST with any soup recipe. Throw some ciabatta in the oven, and prepare to soak up every last bit of brothy deliciousness. 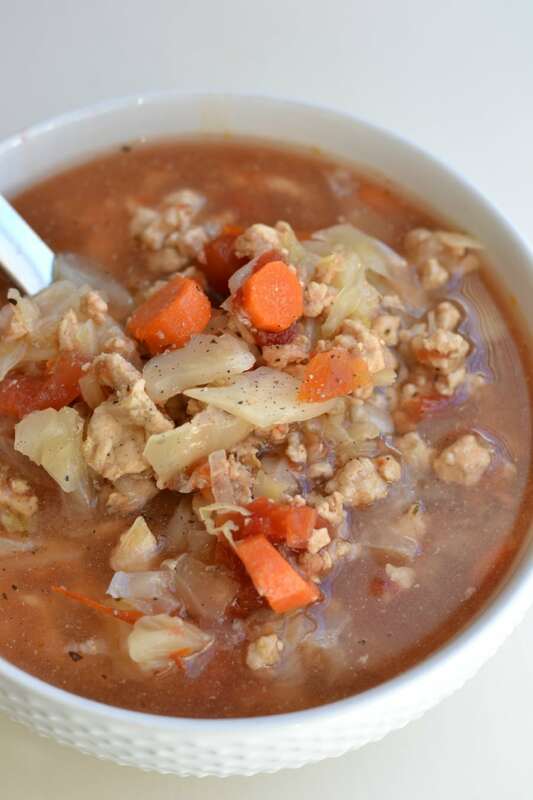 Ground turkey soup made with cabbage and vegetables and the slow cooker. Healthy, light and delicious! In a skillet, saute onions, garlic and carrots in olive oil for about 3-4 minutes, or until onions become soft. Crumble ground turkey into the pan and cook until no longer pink, stirring and breaking up any large chunks. Place meat and vegetable mixture into a slow cooker. 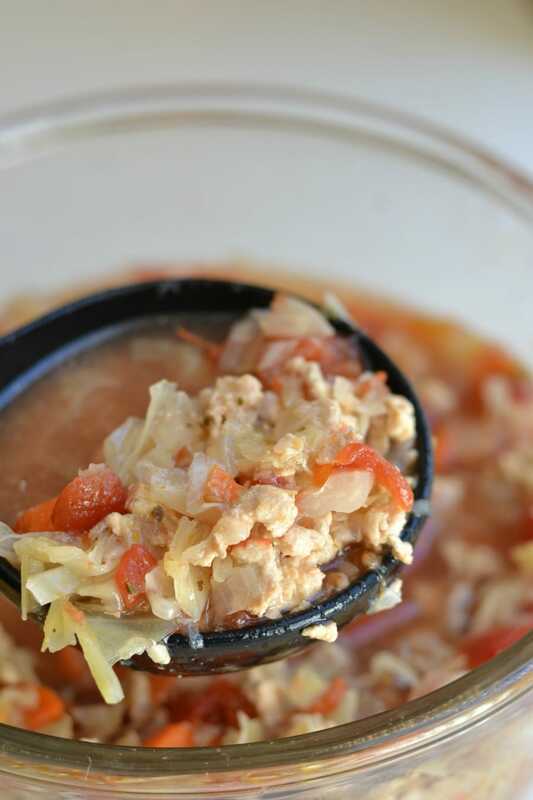 Add tomatoes and cabbage. 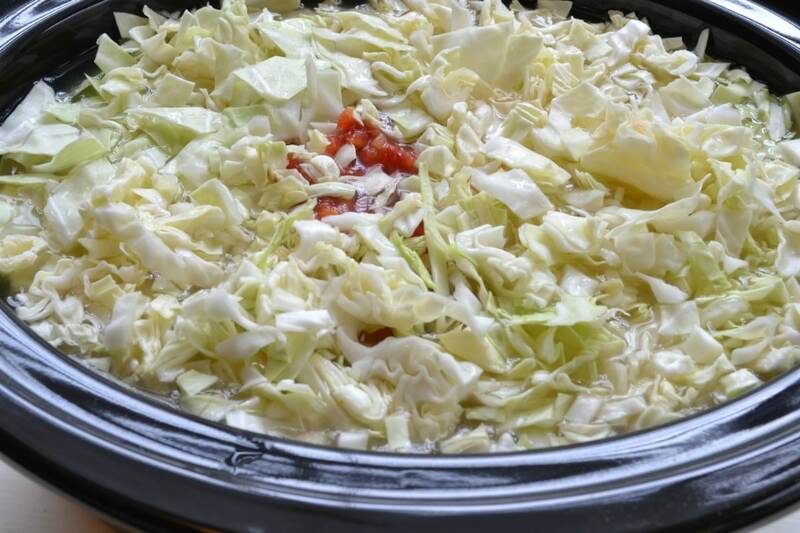 Cover and cook on high for 6-7 hours or until cabbage is tender. Add salt to taste, starting with 1/2 tsp and working up from there. Serve with a dash of freshly ground pepper and a slice of crusty bread. Made this today. Delicious!! I cut the recipe in half, used leftover cubed turkey, and added a couple tablespoons Worcestershire sauce. Served with crusty French bread. My family ate it ALL! Great soup on a cold day!